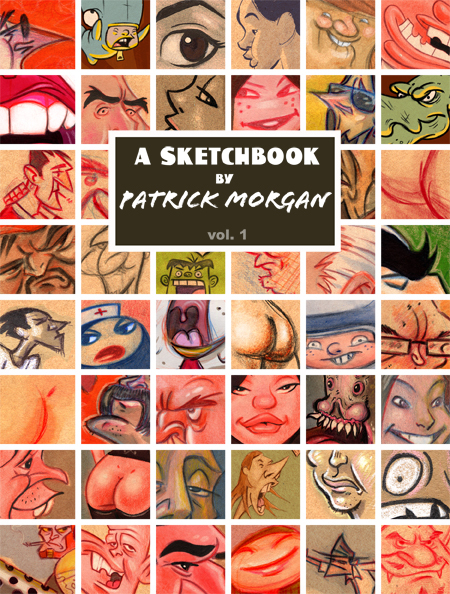 Some of you may know, and some of you may not know, I am releasing my 4th book of art. It's due out toward the end of July. I'm quite happy with it actually and I'm hoping you will dig it as well. I am currently taking pre-orders for it, and if you are up for supporting the arts, particularly "MY" art, please take this opportunity to pre-order my book now. 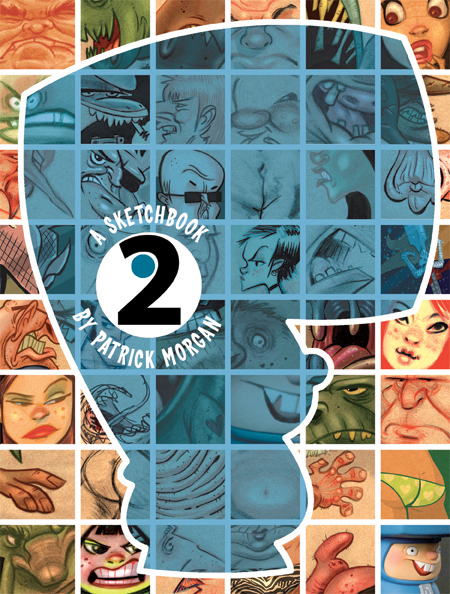 I will also be throwing in an original drawing for every pre-order as well as a signed drawing inside the book. Your support is very much appreciated. There is also a Whaleboy Guest section with pieces from Stephen Silver, Bobb Chiu, John Nevarez, Jose Lopes, Chris Sanders, Tom Neely, Joe Vaux, Justin Ridge, Griselda Sastrawinata and Sean "CHEEKS Galloway. Thanks you guys for contributing!!!!! The title is called, "Does This Make Me Look Fat? 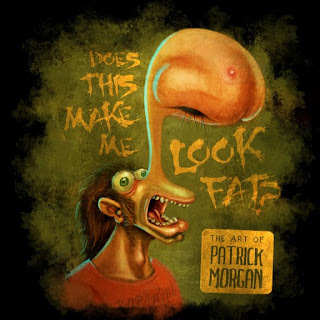 The Art Of Patrick Morgan" It's a full color, 9X9 80 page hard cover book. So get it while the gettin's good!!!! the book is $30 plus $5 for shipping and handling. $10 USD for international orders. looking forward to seeing the new book Patrick!! See you soooon! Thanks for the book. Lots of great work here. I love your wacky and comical art style. Your work is very fun, unique and beautiful. some video clips makes it. This application is not available Google sitey.me/ Play Store for unidentified factors.Refer It can only be downloaded from its designer Mobdro Download for your Android Smartphone & PC internet site.Although this app is readily Mobdro available free of cost, it likewise Mobdro App supplies us superior options. Deadly traps and many values waiting for you in Super Mario Star Scramble 3 at frivGames 2018. Are you ready to explore them? Your mission in the game is to pass through all traps and obstacles appearing along the way so that you can collect three stars to unlock three doors at each level. Remember that there are many values which are hidden in bright yellow blocks such as life mushroom, coin, fire flower and etc. Therefore, you need to interact with these blocks to collect them so that there are many chances for you to win at school friv. Jumping exactly and using weapons in time are key factors to determine that you can overcome all levels of the game or not. Try your best to complete your adventure! Good luck! You also can play some related games such as......at friv game.